First fire in our new fire pit. Started with a Coleman striker. (c) J.S. Reinitz 2014. Today, we christened our new, partially completed fire pit. 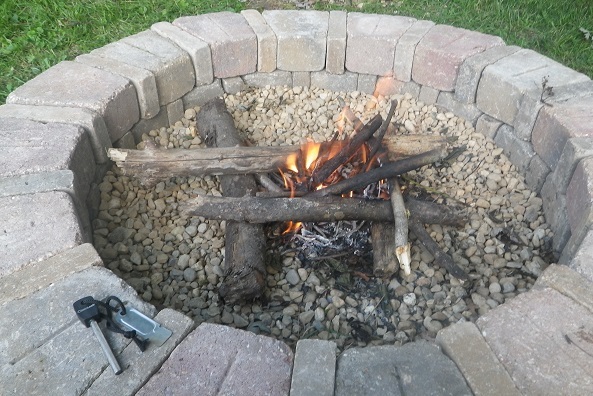 With two of the three rows of bricks in place, we decided the circle was finished enough to ignite some backyard fun. This time, we sparked it with a Coleman striker (pictured sitting on the bricks in the photo above) using SOL Tinder-Quik and a whole lot of sort-of-dry leaves (it has been raining a lot lately). The Tinder-Quik took off easily from the sparks. 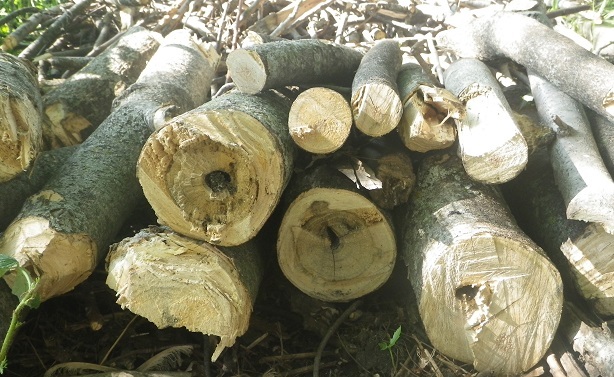 A few weeks ago, a passing storm deposited a huge tree limb in our yard, narrowly missing the garage and the swing set, so we have a good stock of firewood.